« What did you do on Christmas Day? The spirit of the horse is recognized to be the Chinese people’s ethos – making unremitting efforts to improve themselves. It is energetic, bright, warm-hearted, intelligent and able. Ancient people liked to designate an able person as ‘Qianli Ma’, a horse that covers a thousand li a day (one li equals 500 meters). People born in the year of the horse have ingenious communicating techniques and in their community they always want to be in the limelight. They are clever, kind to others, and like to join in a venture career. Although they sometimes talk too much, they are cheerful, perceptive, talented, earthy but stubborn. They like entertainment and large crowds. They are popular among friends, active at work and refuse to be reconciled to failure, although their endeavor cannot last indefinitely. They cannot bear too much constraint. However their interest may be only superficial and lacking real substance. They are usually impatient and hot blooded about everything other than their daily work. They are independent and rarely listen to advice. Failure may result in pessimism. They usually have strong endurance but with bad temper. Flamboyant by nature, they are wasteful since they are not good with matters of finance due to a lack of budgetary efficiency. Some of those who are born in the horse like to move in glamorous circles while pursuing high profile careers. They tend to interfere in many things and frequently fail to finish projects of their own. Overview: It is their order to encounter the Year of Birth (Benming Nian), a year to offend “Taisui’, the god in charge of people’s fortune. In 2014, their fortune in all aspects will be fluctuant which requires their great cares. They may stress out, in which case they are suggested to self-adjust by talking more to others or taking part in group activities. Upon any difficulties, they should be strong to overcome them all. If they treat people around friendly and behave righteously, they will smoothly get through the year. Career: Horse people are easily offended this year even for trifles, and seem not to keep a harmonious relationship with colleagues. Sometimes they doubt themselves too much, gradually short of confidence. When finishing a task, they ask people around to confirm again and again. In this case, it is suggested to be confident and talk more to family instead of complaining to colleagues. Just keep a low profile, get along well with boss and be careful of tricks by mean people and then they will make some achievements in job. Wealth: Their financial fortune will be unstable in 2014. It seems that there will be much unexpected cost. Thus to make ends meet comes first When managing money matters, they should consider accepting others’ suggestion. It is necessary to be careful to make any investment. Businesspeople should make a full scheme before making a large amount of investment, because the market will be changeable in the year. Relationships: The fortune in love life for horse people will be just so-so. If they would like to get married in the year, it is strongly suggested to select an auspicious date according to the dates of birth of the bride and the bridegroom, or they will suffer a lot in marriage. Singles may meet several people that they have feelings for, but none of them are doomed to be their Mr./Ms. Right. If standing in dilemma, they’d better refer to the idea or suggestion of their relatives and friends. Husband and wife will argue a lot in the year, to avoid which communication and mutual understanding weighs. For all lovers, mutual trust is the secret for an everlasting relationship. Health: As they offend “Taisui” this year, they may suffer some discomforts. Some insidious diseases like dermatosis may happen. To avoid that, they’d better have a full physical examination. Besides, they also need to be careful to avoid unexpected injuries by knives and others sharp items. Females should pay attention to problem in urinary system and males need to care more about their stomach. Adjusting their emotions and traveling outside will help with their health as well. They also need to remember not to eat too much for each meal. Hi Tiiu, just loved your Christmas photos and obviously delight in the winter snow and air. Marvelous. 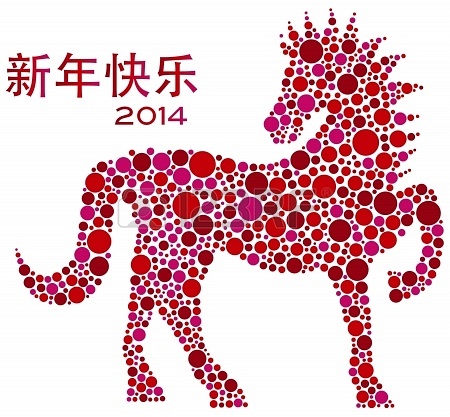 Also the information of the Year of the Horse – will pass it on to my friends. On New Year’s Eve I wore the beautiful sweater I got in the summer. A black knit sweater coat covered with black sequins. Very blingy – needless to say I got lots of compliments. Thanks for taking time to help me find the perfect outfit. Thanks for your nice comments – I’m so glad you’re enjoying your blingy sweater. It’s great fun to step out of the comfort zone. We look forward to seeing you again this year. Hope it’s a good one for you!